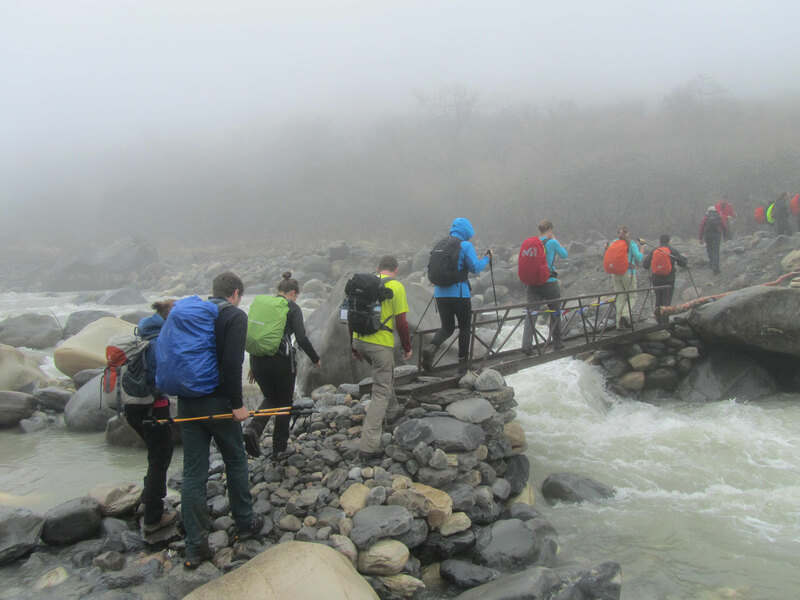 (White Water River rafting x 2 Days): The Bhote Kosi – the name implies that this river has its origin in Bhot or Tibet. It has upper sections of grade 4 and 5. Continuous white water for 26 km, which cascades down through a fantastic maze of canyons and boulders. It is located only three hours from Kathmandu. It is possible to combine a rafting trip on Bhote Koshi with tours of Tibet, Everest and Lang tang trek. Day 1: Drive from Kathmandu to Khadichaur. Day 2: Bhotekoshi to Kathmandu back. After having Breakfast, we explore down in dread encountering with challenge of V class rapids “Frog on the Blinder”, “Mid night Express” and numerous IV class rapids. Len your body and paddle harder and faster with tremendous energy because “Wall” and “Cave” is hissing towards us. The scenery of the different mountains, the villa, and forest and Nepali ethno cultural life is so marvelous and fantastic. Monotonously, we are giving up paddling at the Lamasangu Dam and drive back to Kathmandu. What a heart-vibrating trip we had! All of rafting gears like, boat, lifejacket, helmet, paddles and safety kayaker etc.